This time of the year there is an abundance of cuckoo bumblebees. These bumblebees form a group of closely related species, the subgenus Psithyrus, each specialising on one or a few nesting bumblebee species. 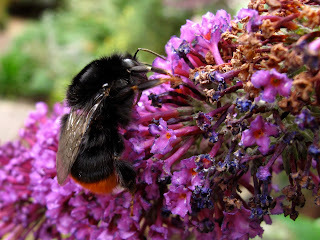 For example, Bombus vestalis, above, specialises on the common Bombus terrestis, the buff-tailed bumblebee. Cuckoo bumblebees are social parasites. They lack a worker caste and instead rely of workers of their host species for the rearing the next generation of males and female cuckoos. Fertilised female cuckoo bumblebees emerge from hibernation a little later than the host, usually when their host queens have already stated a nest and already have a few workers. Some species 'infiltrate' the hosts nest passively, with little aggression involved. They simply remain peripheral to the combs, initially thought to get the workers used to their smell, and little by little the workers and queen accept them. Then they start participating on the colony workings by grooming larvae or incubating cocoons. At the same time, however, they lay their own eggs, and eat eggs and larvae of the host species, until only their own males and females are reared instead of host worker. The cuckoo female often engages in 'head-rubbing' with the workers in the nest, a behaviour thought to involve some transfer of chemicals between cuckoo and host. Often host queens and males are produced together with the cuckoo's offspring. In other cases there is quite a lot of aggression from the workers to the cuckoo and the other way round. More peaceful nests produce a higher number of cuckoo bumblebees. Queen Bombus lapidarius, its host. Cuckoo bumblebees have often similar colour patterns to their hosts, and this type of mimicry could help them enter a nest. 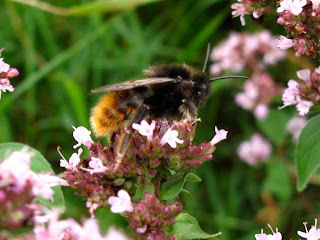 As an example, see above the cuckoo Bombus rupestris and its host Bombus lapidarius. But, given the high levels of aggression involved when conspecific worker intruders try and enter a nest, how do cuckoo females manage to be accepted into the hosts nest? They have another, more recently discovered form of mimicry: chemical weapons. Research by Stephen Martin and collaborators investigated the surface chemicals of 14 bumblebee species, including 5 cuckoos, from the U.K. and Sweden. They found out a striking pattern: several of the cuckoo bumblebees match strikingly their hosts chemical profile, in particular the alkene isoforms, which are species specific. 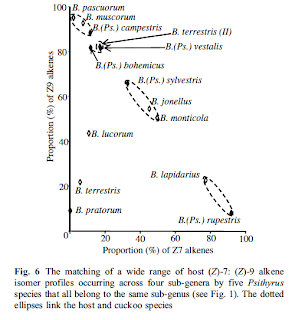 A few species differ from this pattern. These species are probably being involved in a host switch, and instead of mimicking their hosts chemical bouquet, they produce a worker repellent chemical. Workers then will avoid, and therefore won't attack the cuckoo female when she enters the nest. 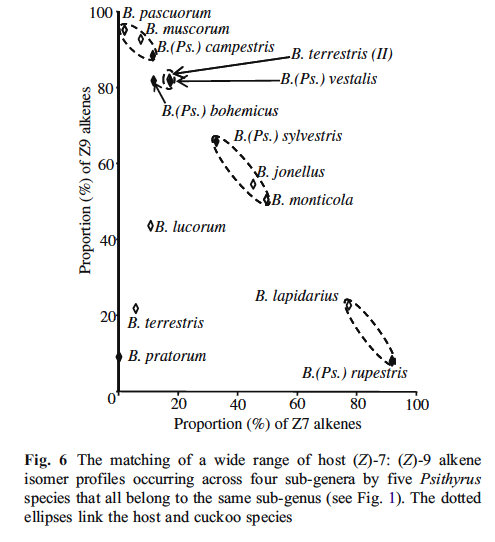 This is the case of B. sylvestris, whose normal hosts, B. jonellus and B. monticola, are quite rare in the U.K. and more commonly attacks the common B. pratorum. 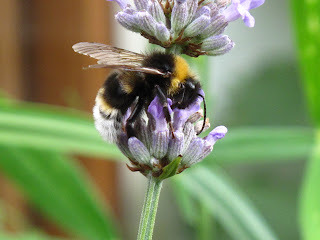 All bumblebee photos taken today. Thank you Antje. Cuckoo's are often portrayed as the bad characters, but they really have wonderful adaptations to their way of life.